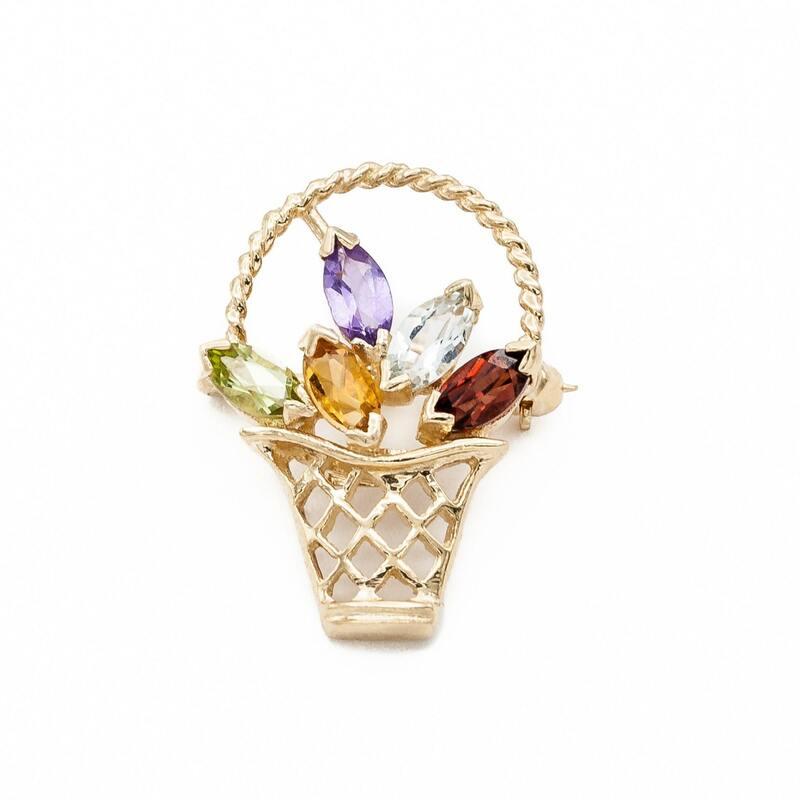 Spring basket of Multicolor Gemstones: Amethyst, Peridot, Topaz, Citrine & Garnet. 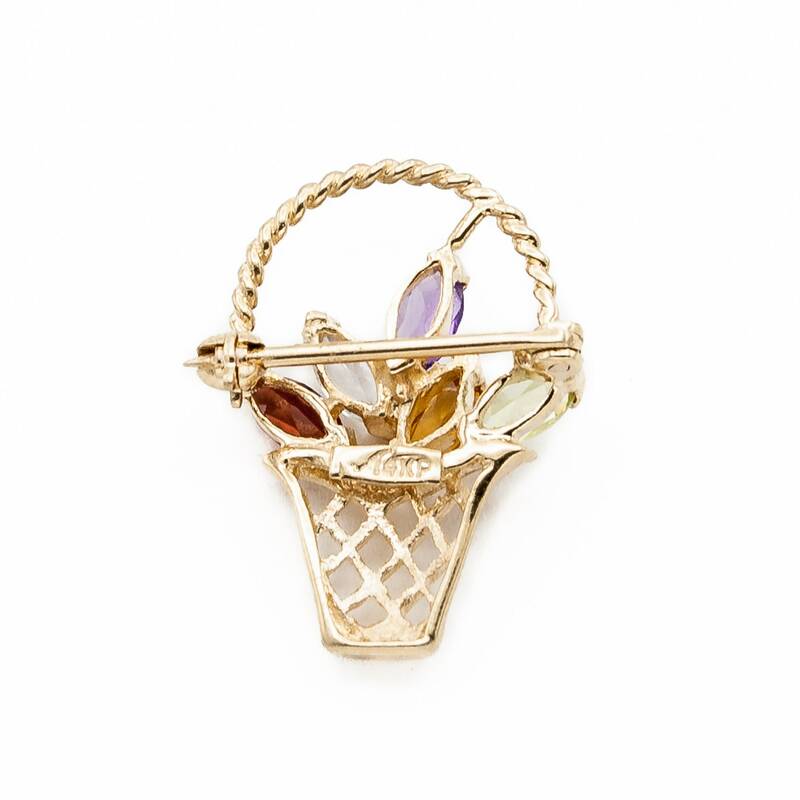 Versatile 14K gold pin or pendant w/ optional rope chain. Celebrate Springtime with a lovely basket of flowers.... these beauties will never wilt! 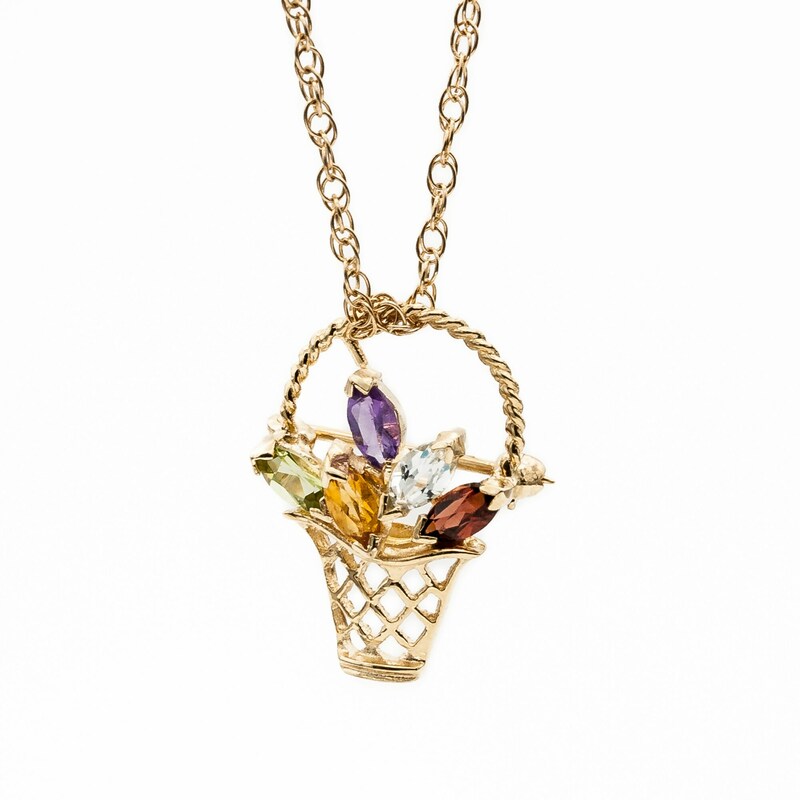 This graceful group of multi-color gemstones all display beautiful spring time tones: Blue Topaz, Purple Amethyst, Green Peridot, Yellow Citrine, Red Garnet. 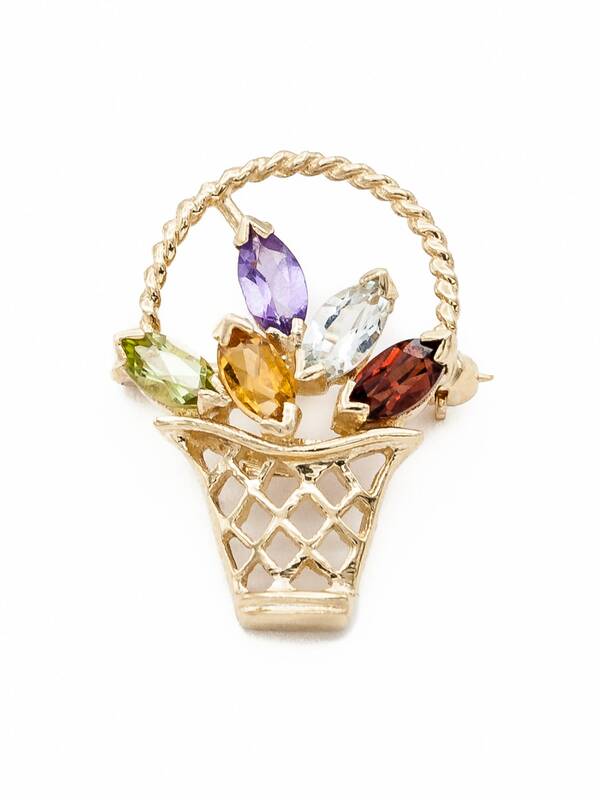 Wear this versatile piece as a pin on a lapel or scarf, or string it on a gold chain to wear as a necklace. 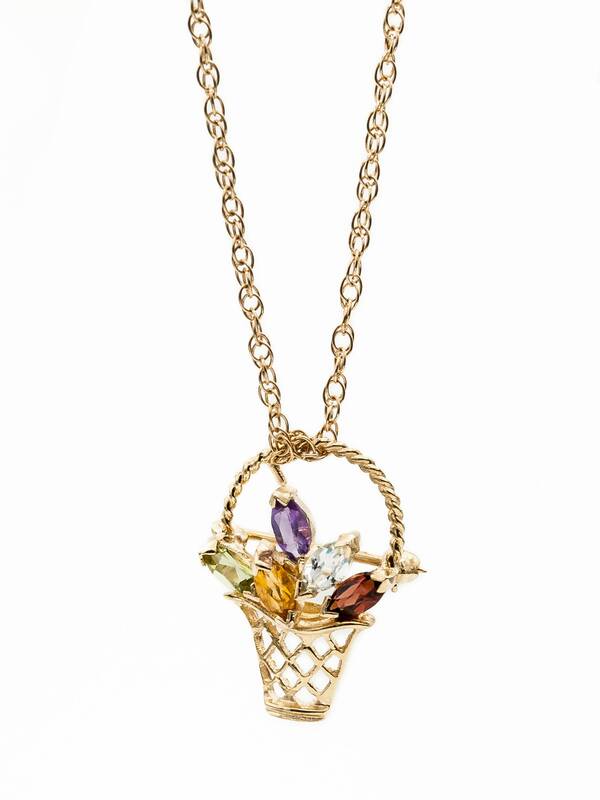 We are featuring this pin/pendant on our 14K yellow gold rope chain which measures 18 1/4 inches for a total $770. Or if you wish to wear it on your existing chain, the pendant / pin is available solo for $575. We also carry a plethora of other chain sizes and styles, so just send us a request for a custom order if you would like a different length or style.